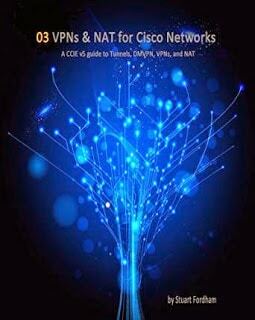 VPNs and NAT for Cisco Networks is the third book in the series. We start with basic GRE tunnels and look at recursive routing and IP in IP tunnels. The tunnels we build are then secured through IPSec and we look at IPv6 transition mechanisms, such as IPv6 in IPv4, auto 6to4, 6RD, and ISATAP. The first half of the book starts with basic GRE tunnels and looks at recursive routing and IP in IP tunnels. The tunnels we build are then secured through IPSec and we look at IPv6 transition mechanisms, such as IPv6 in IPv4, auto 6to4, 6RD, and ISATAP. We then progress on to DMVPN. With DMVPN you will implement phase 1, phase 2 and phase 3 DMVPN, using RIP, BGP, and OSPF and then secure it, and tweak it. 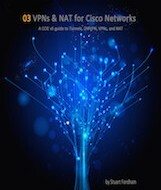 We also cover DMVPN in relation to QoS, IPv6, NAT and VRFs (Virtual Routing and Forwarding). We then move on to look at GETVPN and site to site VPNs. 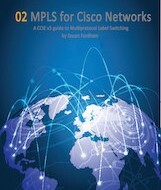 The second half of the book covers Network Address Translation (NAT). 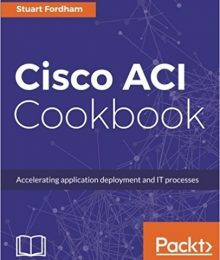 In this part of the book, we start with static NAT with route-maps, IP aliasing, Policy-based NAT, load-distribution, and the NAT order of operations. We then move on to dynamic NAT and PAT (Port Address Translation), for both IPv4 and also IPv6 (NAT-PT, NAT64, NPTv6 and the NVI, or NAT Virtual Interface). The book wraps up with some troubleshooting steps before we head into a troubleshooting mini-lab! 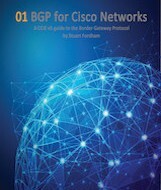 Steve also left the same review as he did for the BGP and MPLS books. He is just one of many who bought all three books in the series!